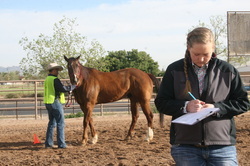 Supervised Agriculture Experience (SAE) is an integral part of the Agriculture Education model. Through these programs, students are “learning by doing” and gain invaluable skills in their chosen field. Click here to learn more about awards and resources for developing an SAE. 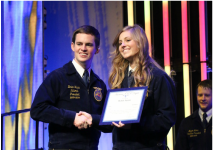 FFA has a dynamic degree system that rewards student's achievement as they progress in their leadership, interpersonal, and professional skills. 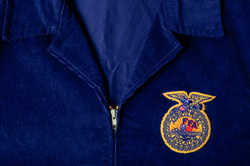 Click here to view requirements for the Discovery, Greenhand, Chapter, State, and American FFA Degrees. With over $2 million available to students nationwide, FFA is promoting excellence in education through continued financial support. Click here to see application guidelines for both state and national scholarships. You've done the work - now its time to showcase your effort! 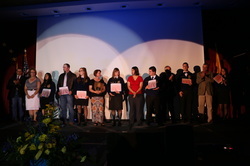 Click here to explore various award applications for both students and chapters. From the wild times at FFA camp to the shining moments on stage, visit our picture gallery to see how are students are developing premier leadership, personal growth, and career success. Click here to access photos from 2007 to current.